E.g-1. Nobody attends the black mass. 2. She recently participated in a black mass and was used as the altar. 3. She also claimed to have knowledge of human sacrifices of infants during black masses. 4. 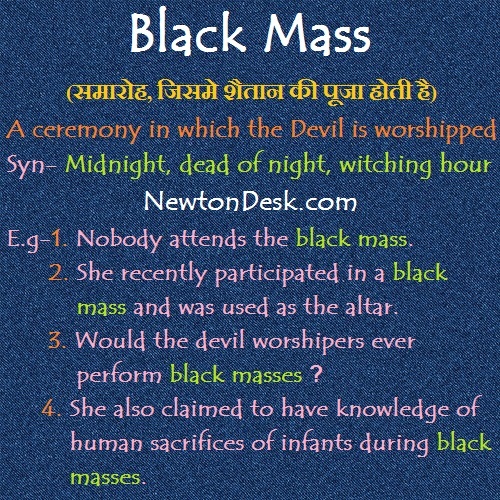 Would the devil worshipers ever perform black masses ?